At a time when white wines used to be flat and oily, a small clutch of boutique wineries were bottling as nature made them: refreshingly crisp. South African oenologist André Van Wyk at Gentilini was one of them. It is a different world, and Greek wine has moved into the 21st century. Petros Markantonatos is the driving force of Gentilini’s vineyards and winery. A natural communicator driven by a protestant-like work ethic, he steered this proactive address to its current admirable position. In an ideal world, he should be spearheading Greek-wine promotional campaigns in the Anglo-Saxon markets. In his broad-minded professional manner, he has done much to help, on merit, other up-and-coming worthy addresses in the export arena, such as today’s Naoussa star, Thymiopoulos Vineyards. Though the actual Cephalonia Robola acreage is small, its considerable qualities have not gone unnoticed. It is more digest than Santorini Assyrtiko. Both are all about minerality, though they could not be more different expressions. The other gem on this limestone/clay island in the Ionian Sea is Mavrodaphne, a red grape. Cephalonia is its historical home. It took years to replant virus-free vines with tailored rootstock to each soil type. To map and think out the right single-vineyard blends. To change winemaking approach so as to unlock the potential of this charmer grape. This complete rethink has paid off handsomely. 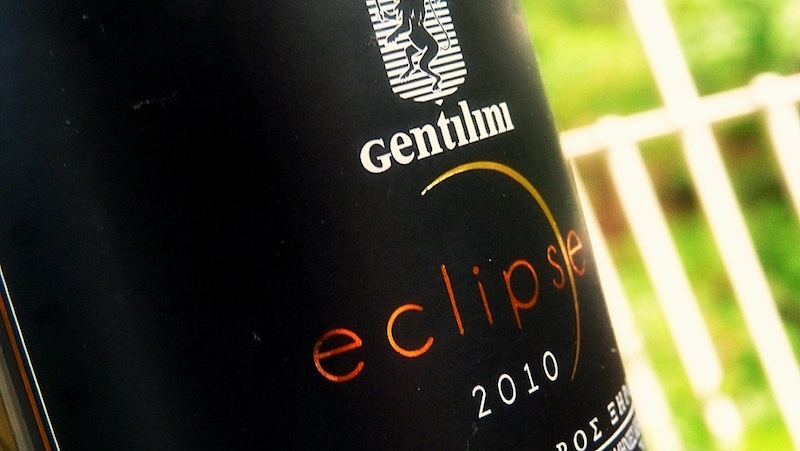 Today, Gentilini has a premium red soulmate to match their excellent Robolas. The Greek oenologist Alexandros Doukas’ arrival in spring 2015 heralds a new era for this open-minded, cosmopolitan address. Three single vineyards planted to the smaller-berried Tsingelo: lower-lying plots at the Gentilini Minies estate, Thinia and the Antzoulatos Ianou vineyard in Omala (650m). Brilliant purple. Exotic spice. Hint of coconut from American oak. Mouth-watering, juicy fruit. Supple, savoury tannins. Energising mint lift on the dry, exotic finish. Brighter, focused, purer nuances than previous efforts. Super. Galaxies away from my first encounter with this grape from vines above the shoreline of Thinia (Thiniatiko) a.k.a. Mavrodaphne. Best 2015–2025.